The end of the school year concluded for the Lower School with two Closing Exercises – one for Kindergarten and First Grade and one for Grades 2 and 3. The occasion provided a chance to sing and have fun with music, and to celebrate all the work the boys have completed over the year. Lower School Music Teacher Ian Taggart created a beautiful musical program for the community, with songs that required audience participation in the form of call and response. A number of boys took turns reciting lines to introduce each of the songs. Trying something new this year for the 2/3 Closing Exercises four third-grade boys spoke on behalf of their grade – Tyler Parrot, Brandon Sweet, Ben Harris and Cooper Corleto. These boys will be moving up to the Middle School next year and took the opportunity to reflect on their time in the Lower School. Headmaster David Trower and Lower School Head Stephen Warner each thanked the Lower School faculty and Mr. Taggart for everything they’ve done for the school this year, and had the boys applaud the many people in the audience who have supported them. The third graders received their certificates and proceeded to walk down the stairs from the Gym to the Middle School, to their new home beginning in the fall. The second graders then moved up to take their place as the new leaders to the Lower School. Click here for a list of the songs from the morning. 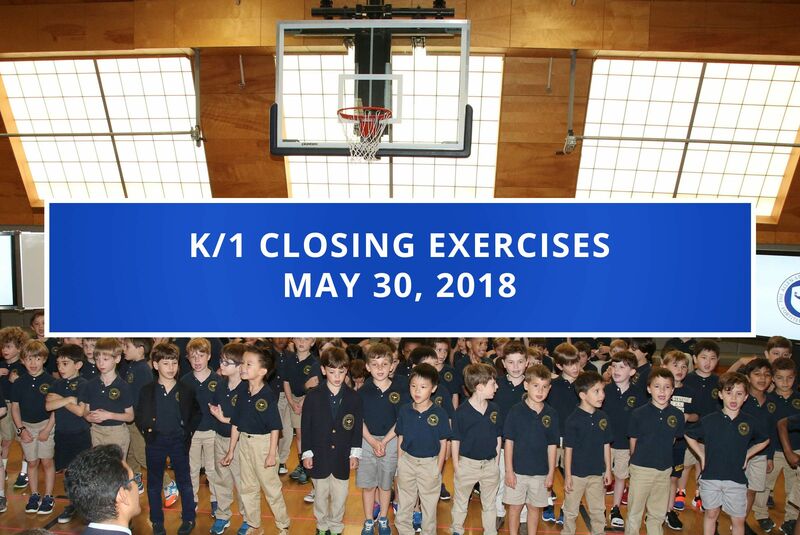 Click here to order DVDs of the K/1 and 2/3 Closing Exercises.